Jaded Blossom: Guest Designer, Trixie! Hi, it's Trixie here from Pink Glitter Studio! I'm so excited to be a Guest Designer for Jaded Blossom this month. They have so many FABULOUS things going on. Not only is Jaded Blossom having a different Guest Designer EVERY DAY for the ENTIRE month--with lots of AMAZING prizes--they are also celebrating their 1st Birthday! Happy 1st Birthday Jaded Blossom!! Last December (almost to the day) I bought my first Jaded Blossom stamp set...Reindeer Magic. I always make reindeer food for my kids and when I found this stamp set..I was so EXCITED! SO....my project for today is Reindeer Food!! To make this cute little bag I used Jaded Blossom's Reindeer Magic stamp set, 3x4 clear bags and the Fancy Topper Die. The reindeer is from the Doodlecharms cartridge and I used Peachy Keen "Critter Faces" for his face. For the back of the topper I used Winter Wishes and Snowman Poop. Then I added a red pom pom for his nose and some Candy Cane Trendy Twine on the bottom of the topper. I made 21 of these little bags for my son's preschool class. They are doing a gift exchange, so I thought these might be fun. Super cute treats for the reindeer. I love this mischievous reindeer! Trixie, this is TOOOO adorable!!!! Love EVERYTHING about this!!! Love love love this. Great Job and love the pom pom nose! I love making these!! Little kids love it!! Great idea with the nose! Very cute!! What a fun project:) Love the red nose. Super cute. TFS and for being a guest designer. What a cute gift! I love that cute red nose! TFS! What a cute little Reindeer Trixie. It is too cute! Those are cute Trixie! Thank you for the good idea...I know can you believe its been a year of Jaded Blossom awesomeness already?? OMG...this is so darn CUTE! Awww, this is super cute. Love the reindeer. This is so cute. Love the reindeer nose. This is so super adorable!! 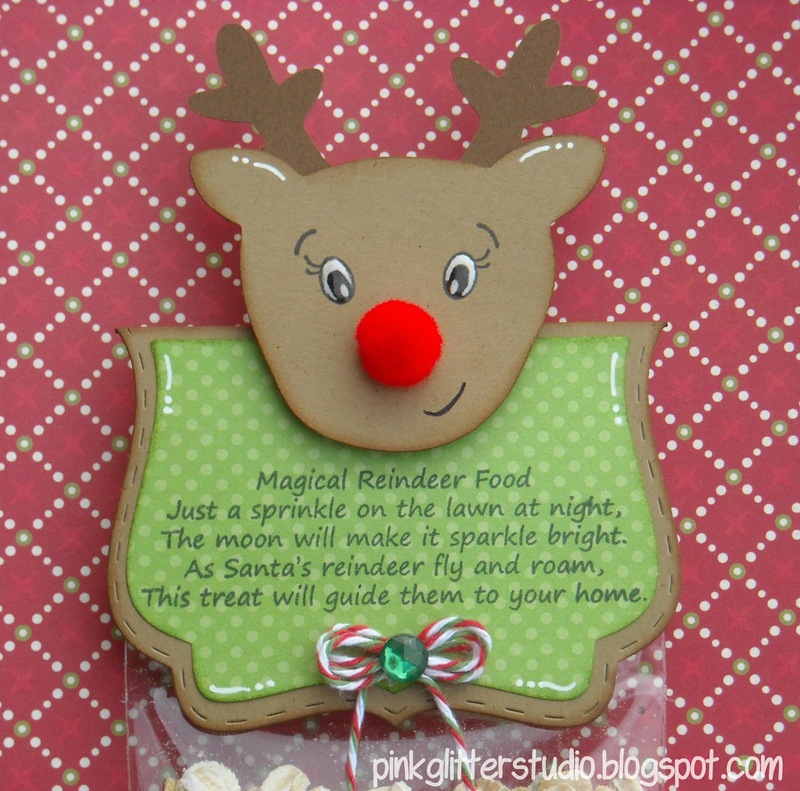 LOVE the embellished reindeer with his cute nose and great stamps!! This is great. I love how detailed and very finished the project looks! This is super cute! I love the idea for "Magical Reindeer Food" ! So cute Trixie! Just love his nose! that is a great idea for a preschool class!! so cute! Love that little nose! Love your Reinderr Treat! What a great idea for the little ones! I love this!! How fun for the kiddos!!!! This reindeer is adorable! Great job! Fun project for the kids, great job! I love the red nose and the kraft paper you used. 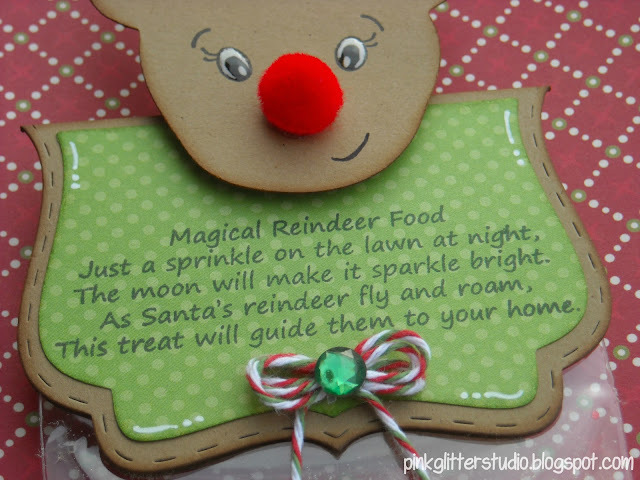 LOVE your reindeer food! Your little Rudolph is SO ADORABLE! The nose is a perfect touch! Beautifully done! Love the idea - reindeer food! 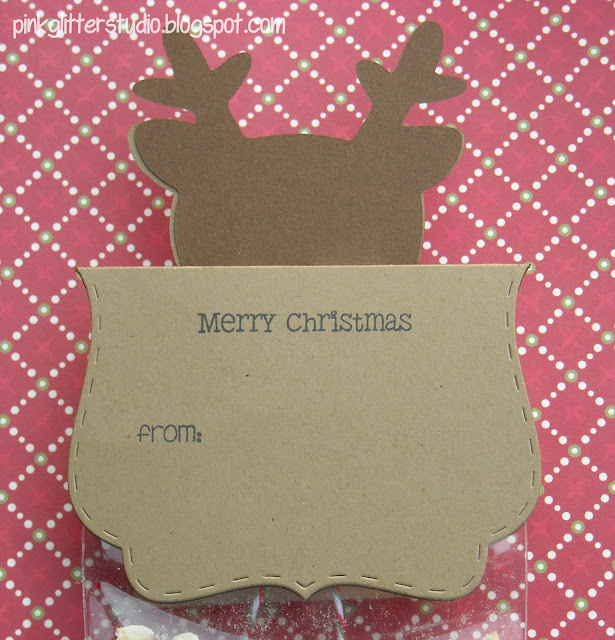 The cutest little reindeer topper with such fun stamps. Love it. The little deer is soooo cute. 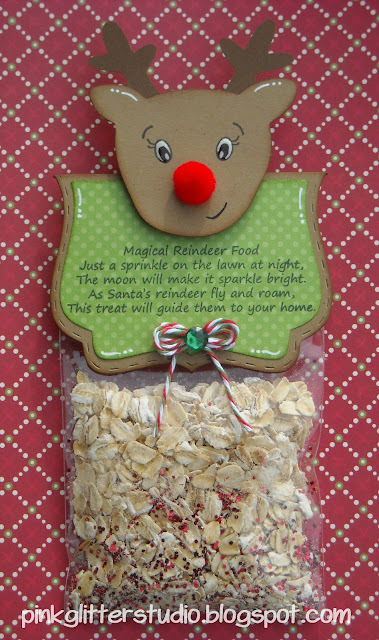 Never heard of magical reindeer food before. So cute! How cute--love the stamp for the face and the pom pom nose. OMG, what a perfect Rudolph!! Thanks so much for sharing! Love this and the snack! !